We have specified six important trends that are to be observed before implementing your social media strategy as social media engagements and organic reaches tends to get lower and lower every day and an era of paid ads are on the horizon. It’s being said by Heraclitus- “the only constant in life changes”. And, this statement suits well to the ever-changing social media trends! Just when you’re struggling to take over one social media platform, right then, another one pops out of nowhere. Every New Year becomes a new trendsetter and with every new trend, social media gets evolved even better. So, it is important for a Social Media expert to be proactive and adaptable to the swinging trends and changes. Then the question is that what do we have there in social media trends in 2019- Let’s just come to the point! Have you ever wonder how much engaging our life has become with daily routines? We all need results in a fraction of time, all hail the Google guru! Right from getting the common life hacks to the method of applying your mascara with finishing- we all need our answers quick and apt. This haste is bringing a new trend in the social media market in 2019 that’s being called as In-the-moment content! You’re surely going to see a massive rise in the short storytelling style of content all over the various social networks winning over the hearts and minds of users. Mobile usage and shorter consideration spans will speed up the popularity of ephemeral content in 2019. It’s important for the social media marketers to go ahead with a meaningful strategy for short-lived content, especially for the upcoming generation Z’ to create a meaningful and real bond with brands they follow. 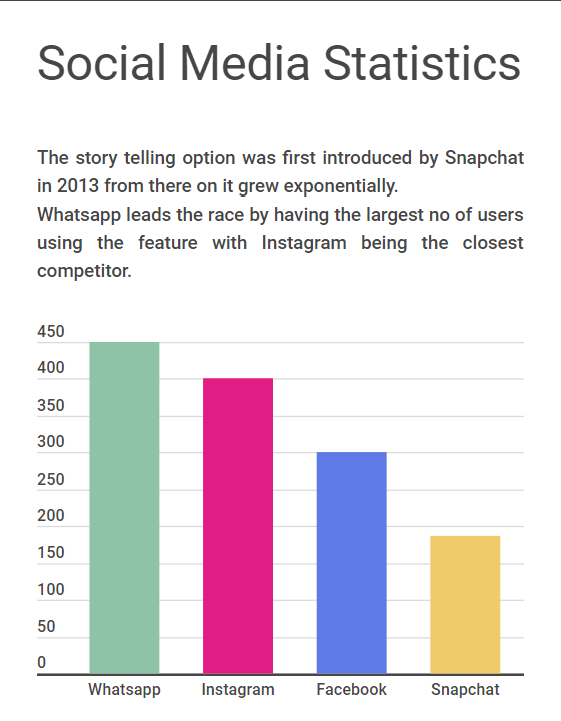 Story feature used by users of social media. What do you get from this study? It tells you to show them a more organic side of your brand which means the people and manpower behind your work. Rather than focusing on stuffing your social networking pages with redundant content, doll it up with interesting, useful and engaging videos, stories and images. As we’ve already mentioned above that the future generation or the younger generation seek a meaningful relationship with the brands they follow. Just like the actual relationship works with mutual efforts, social media is not an exception; after all, it’s all about engaging your audience. So, in 2019 you should focus on giving attention and care to your audience, just in case you don’t want to get kicked out of the social networking race which you surely won’t. According to Jasmine Sandler, CEO, Owner & Operator of JS Media. “This means responding quickly to customer complaints, issues, and questions,” Sandler said. Using videos on social shares, short scripts or stories will boost your engagements and followings on social media as people tend to like videos that reveal important facts in a glimpse. Long descriptive writings are skimmed in a minute. Using Social Media platform like Tik -Tok could be a new way for brands to reach out to their younger audiences. Here comes our next social networking trend, by the way (these trends aren’t mentioned in the order, they all have their distinct importance) which is- we will start to see that a lot of different channels will opt for AI-driven personalized user experience. Now, you might be thinking the world has changed around? Most popular social media platforms like Google to Facebook, from chat bots to ad optimization have been adopting artificial intelligence to enhance customer interaction. It still has a higher scope of advancement as it’s still being underutilized by many brands. In 2019, it’s definitely going to be a boom in the form of an online customer. 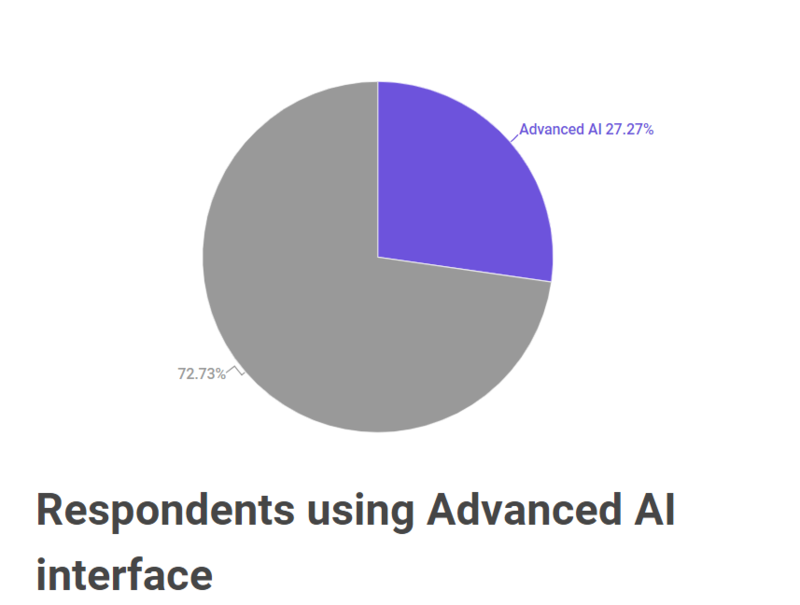 Reading the success rate of AI-driven communication with tools like Intercom and Drift started to appear all over the internet, experts predict that by 2020, nearly 80% of customer service interactions will be powered by AI bots. According to Huffington posts, 60% of the millennial population already uses chat bots and 71% of Millennial’s have implied that they would like to try using one. In 2019, more and more brands will practice strong online service tactics and might even switch to advance platforms that can offer effective technology for customer service to thrive online like Whats App and Messenger. The most adopted and convenient mode of communication used around the world is undoubtedly the chat or messenger service. Facebook Messenger and Whats App handle 60 billion messages a day this signifies the importance of including messenger services to your digital strategy. It’s a high time to start using messenger services for business communications and lead generation activities. LinkedIn is simply a network of professionals. I could easily bet on the fact that there may be only fewer such sites where professionals in such a huge volume interact and share ideas and thoughts at such a large scale. Simply adding short and sweet notes to your connection requests can be a deciding factor. The world of social media is gigantic! You will get countless shifts in the social media trend you just have started following. Finding the right tactic that suits the realism of your brand is the key thing. And, your work doesn’t end only on applying a few predictions made by various experts. “What gets measured gets improved”.